Whatever the reason for your divorce, Lawgena lawyers will make the divorce process as simple, painless, and inexpensive, as possible. At Lawgena in Seattle, we listen carefully to your circumstances so that we can develop the most effective strategy. identified a ‘cheating gene’, which — excuse or no excuse — has been correlated with an increase in marital infidelity. A quick assessment of some of these factors could help in determining, for example, whether to attempt early settlement, or to seek temporary orders.Often one or both of the clients will, at an emotional level, be unable to settle the case, until a certain length of time has passed, they have had an opportunity to present their side of the story, and / or they are presented with escalating attorney fees, uncertainty, and risk. 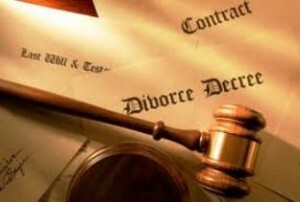 A good divorce attorney will help their client get from point A to point B in the shortest amount of time, in the least painful manner, and the least expensive way.